Following a host of fearsome weather events in 2013, from the worst drought in California’s history to the hottest year ever recorded in Australia, the threat of climate change grows increasingly tangible. As a result, scientists and climate activists alike have called for research into the viability of geoengineering. Geoengineering involves human intervention in natural events in order to artificially manufacture a greener outcome. A handful of theoretical techniques have recently gained traction, all of which were concocted with the intention of reducing the temperature of the planet. These include reflecting sunlight from space, adding lime and iron filings into oceans, and irrigating African and Australian deserts so that trees might flourish in those areas. But while these methods appear beneficial on paper, a recent study undertaken by the Helmholtz Centre for Ocean research in Germany showed that implementing these techniques could invoke disastrous results, without much in the way of positive outcomes. For example, just the idea of space sunlight reflection would severely alter the world’s rainfall patterns. In addition, all of the proposed geoengineering techniques, when executed on a global scale, only promises to alter temperatures up to 8 percent, maximum. 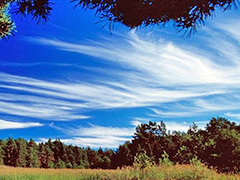 According to the experts at the Helmholtz Centre, the long-term effects of several of these geoengineering techniques, if they were suddenly stopped, would release carbon into the environment rapidly and set into motion chains of events resulting in planetary warming and other consequences that could not be halted safely. Posted on March 10th under Global Warming Issues.